You can order your Disney Parks vacation planning video directly from Disney for FREE. Choose either Walt Disney World Resort in Florida or Disneyland Resort in California. You can choose to view your video online or get a DVD mailed to you completely FREE of charge. This video will take you on a complete tour of the Disney Theme Parks, Water Parks and Resort Hotels at the Walt Disney World Resort in Florida. Get an overview of Walt Disney World. Go on a detailed tour of Magic Kingdom, Epcot, Disney’s Holly Studios, Disney’s Animal Kingdom, or the two Disney Water Parks. Find a Walt Disney World Resort Hotel that best fits your family’s style and budget and more! This video will take you on a complete tour of the Disneyland Resort in California. Included in the tour is Disneyland Resorts and California Adventures Theme parks, plus the three Disneyland Resort Hotels. 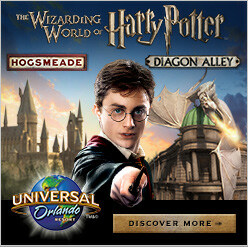 Explore this magical destination where the magic began. Plan your vacation with recreation, fun for the little ones as well as grown ups and more! Order this video FREE from Disney through the link above. The link will give you a choice of vacation planning DVD’s for Walt Disney World or Disneyland Resorts. You can find other great Walt Disney World vacation planning tools on our Walt Disney World Vacation Planning page. If you are looking to visit the place where the Disney magic began, you can find other great Disneyland planning tools on our Disneyland Resort Vacation Planning Information page. 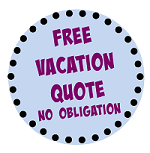 When you are ready to book your perfect Disney vacation, get a FREE, no obligation quote from The Magic For Less Travel. Book your next Disney vacation with The Magic for Less Travel, an Authorized Disney Vacation Planner, and receive their Magic Plus Concierge Service. The travel agents at The Magic For Less Travel will save you time and money and help you plan a truly magical vacation.